GARY MACKAY and Duncan Ferguson have led the tributes to Alex Young after the Hearts and Everton legend passed away on Monday, aged 80. The player nicknamed ‘The Golden Vision’ helped Hearts win the Scottish league title twice, in 1958 and 1960, and during his five years at Tynecastle also lifted the 1956 Scottish Cup and the League Cup in 1959. After being sold to Everton for £40,000 in 1960, the elegant forward won the English league title in 1963 and the FA Cup three years later. Regarded as a hero both north and south of the border, Young also scored five goals in eight appearances for Scotland. 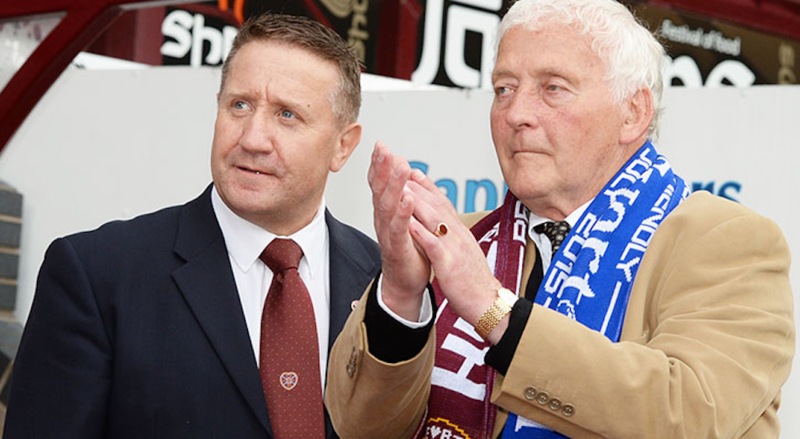 Mackay said: “He was an absolute star of a football player and an absolute gentleman. “He was held in such high esteem by not only the Hearts fans but also the Everton supporters. “There have not been a huge number of players that have left Hearts and prospered at a great level down south but he was one of them. Young’s passing, after a brave battle with illness, drew tributes from both Hearts and Everton, with former Toffees stalwart Phil Neville tweeting ‘RIP’. Meanwhile, Ferguson, who followed Young in becoming an Everton icon after joining the club from Scottish football, paid his own homage. He said: “He was a fantastic player, an unbelievable striker who scored over 80 goals for our great club. Young was named an Everton Giant in 2000 and was inducted into the Hearts Hall of Fame in 2007. “We are all very sad and will miss him terribly,” Young’s son, Alex Junior, told the Everton website. “He passed away peacefully with my mum by his side at a small hospital close to Edinburgh. “He has been ill for a few weeks but he battled on bravely. It’s still very raw but I wanted people on Merseyside to know.